Some people have a windfall in finding unclaimed pension benefits. Thousands of individuals lack adequate funds to retire not necessarily due to inadequate planning, but because they’ve lost track of their pension fund benefits. 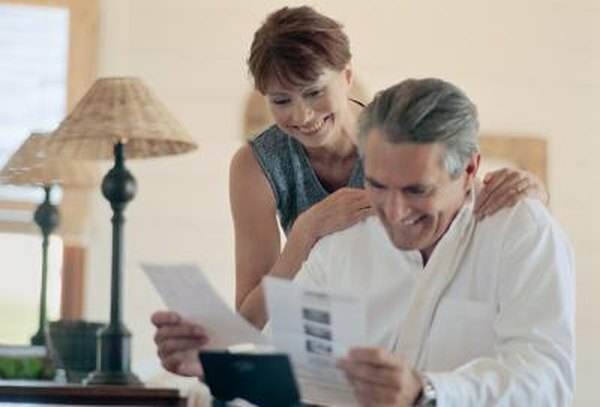 While millions of dollars in pension benefits are currently going unclaimed in the United States, there a number of resources available to help you claim your due cash and secure a comfortable retirement. The Pension Benefit Guaranty Corporation, a government organization that sells pension insurance to employers, defines a pension fund as a retirement arrangement between an employee and an employer that promises a fixed, regular payment the day that employee retires. Employees must work for certain period of time before they are entitled to pension benefits, and the amount of those benefits will typically depend on how long an employee has worked and what he has earned. Once an employee has spent a specified amount of time with a company, he is considered “vested” in his pension benefits. How Do Pensions Go Missing? Pension benefits can become lost for any number of reasons. An individual who has worked for several companies offering pension plans may simply lose track of benefits over the years. Other times, a company may change its name, merge with another company, or move locations. Perhaps a company simply goes out of business or files for bankruptcy. When this happens, it can become nearly impossible for individuals to establish contact with former employers in order to claim their funds. The Pension Benefit Guaranty Corporation estimates that there are 38,000 individuals in the United State owed unclaimed pensions. Those unclaimed pensions are no small change, either. The agency estimates that total unclaimed benefits total roughly $300 million, with individual claims ranging from just pennies to as much a $1 million. The highest concentration of unsecured pension funds is in the state of Illinois, where $79.63 million is owed; New York trailed with $42.38 million owed. The states of Ohio, New Jersey, Texas and California owed $15.22 million, $12.84 million, $12.32 million and $8.52 million, respectively. If you think you or a loved one may be owed pension benefits, then there are tools available to help you secure your lost funds. The Pension Benefit Guaranty Corporation offers an interactive pension search directory that allows individuals to search for their funds by last name, company name, or the state where their company was headquartered. Once your name has been identified on the list, you next need to verify your identity, which takes up to six weeks to complete. After the verification process is finished, you can apply for your benefits and receive your funds within two months of completing your application. The Pension Rights Center, the U.S. Department of Labor, and even your local library also offer resources and guidance to make the search for your retirement funds easier. Retiring comfortably takes hard work and planning, and having access to all that you’re entitled to is your best bet to eventually realizing this goal. Carolyn Okomo is a business writer who gained her reporting chops as a daily bankruptcy reporter at "The Deal," a New York-based trade publication. She is currently based in Kansas City, Mo. How to Locate an Old 401(k) Plan?